Alvin Abraham, the founding Dean of Dougherty Family College, talks about access to education, curiosity, taking care of people, and how Minnesota can get better as a state. 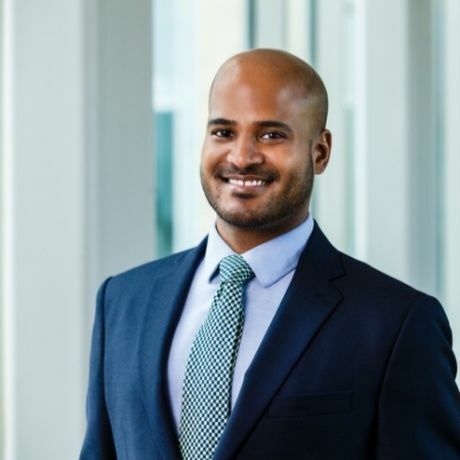 Alvin Abraham started his career as an elementary educator with Teach for America and then continued teaching in Houston, Texas. A proven leader, Abraham quickly ascended into educational administration as an assistant principal for Fort Bend Independent School District and then principal in Houston Independent School District. There he implemented the Apollo 20 program, a bold initiative identified by Harvard University’s Education Innovation Laboratory to transform education and improve academic achievement of educationally underserved students. Abraham relocated to Minneapolis in 2012 to lead KIPP North Star Academy and was appointed executive director in 2014. Abraham holds a Bachelor of Science degree in political science from Texas A & M University-College Station and a master’s of educational administration from the University of Houston. He is on the board of directors of Children’s Hospitals and Clinics of Minnesota and serves on the national advisory board of Teach for America – The Collective. Today, he is the dean of the Dougherty Family College, a new 2-year college through the University of St. Thomas.